#01 – Revenge is sweet! We’d waited a long time to avenge our play-off defeat against Watford, but a trip to Vicarage Road this week provided the ideal opportunity. 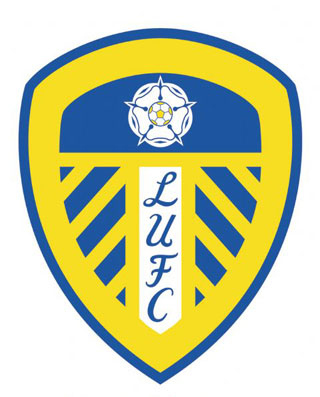 A dismal display of hoof-ball football from both teams was won by Leeds, as the Whites recorded their first away win and first clean-sheet of the 2010-11 season. #02 – Richard Naylor can defend after all? We learnt this week that Richard Naylor isn’t so bad after all! Scoring the only goal (in the right net this time) and giving a decent defensive performance against Watford was enough to earn our ageing captain the man of the match. Unfortunately, the game was so slow that we could have pulled Jack Charlton out of retirement for an encore and had no trouble keeping up. It remains to be seen whether Naylor’s improved performance can carry over into a pacier match. We learnt this week that three goals in 110 minutes doesn’t guarantee you a game at Simon Grayson’s Leeds United. Davide Somma appears to be bursting with confidence and believes he can replace the goals Jermaine Beckford scored, but Simon Grayson moved quickly to quash our hopes and drag the striker back down to earth with an expectancy-lowering speech. Old news for some, but I learnt this week that David Batty has become a qualified butcher since retiring from football and now plans to open up a mega-butcher complex in Carlisle. An appropriate career choice for a man who could be absolutely brutal on the pitch. We wish Batts every success. We learnt this week that the days of Aaron Lennon’s and James Milner’s teeming out of the Thorp Arch academy may well be over, as Simon Grayson told fans he’d signed Adam Clayton because the club doesn’t have many quality youngsters between the age of 18-21. A great motivational speech from the gaffer which the likes of Darville, Lees, Milne and Elliot are sure to take confidence from? A total of twelve players have left Elland Road over the summer as Simon Grayson attempts to clear the club of it’s deadwood. With the likes of Andy Robinson and Leigh Bromby still adding a touch of glamour to the reserve team though, there’s plenty of work still to be done. Replacing the twelve departing players are eleven fresh and shiny ones. The general consensus is that Leeds United and Simon Grayson has had an excellent summer in the transfer market, providing the squad with a lot of attacking options and bringing in the best goalkeeper outside the Prem. It’s not all good news though, with huge question marks still hanging over the heads of Bessone, Bruce and Clayton. Another week, and another poor ref in the Championship. Both the Watford and Leeds fans were vocal in their disgust of the referee’s tireless whistle blowing, which left the game at Vicarage Road less exciting than the Jonathan Ross-less Friday night line-up on the BBC.